Literally as soon as I saw this value set, which also included the Skin Food box that I will be unboxing tomorrow, I had to have it. Even though the brand boxes tend not to have as high a dollar value as other boxes, I always like them because the products are more easily available if I fall in love with one of them. Don't even get me started about my woe over the fact that I'm finding it difficult to find the Aqua Whip Hug foam cleanser than I'm pretty much obsessed with from a site that offers free shipping. Globally recognized and globally famed, The Face Shop is loved by all ages and all skin types. Endorsed by Korea’s top girl group Miss A’s Suzy, The Face Shop is recognized globally as a novelty brand that leads the beauty industry with superior ingredients, first-class stylishness, and original design. As you can see from the photos above, this box contained 6 full size items from The Face Shop with both skin care and cosmetic items included. 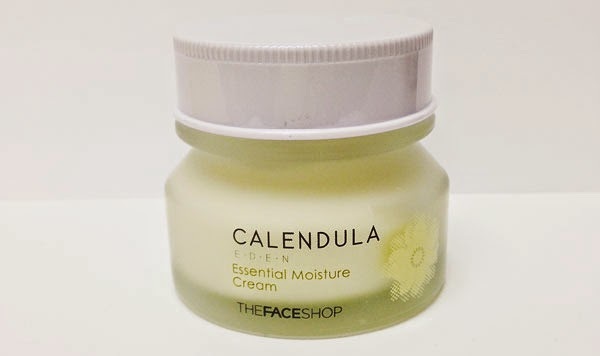 Restore your skin's most natural, healthy glow with Calendula Eden Essential Moisture Cream packed with an intensively hydrating blend of calendula extracts and hyaluronic acid specifically formulated to prevent moisture loss and to firm up sagging skin. Apply directly to clean face at the last stage of skincare routine. This product comes packaged in a really nice frosted glass tub. 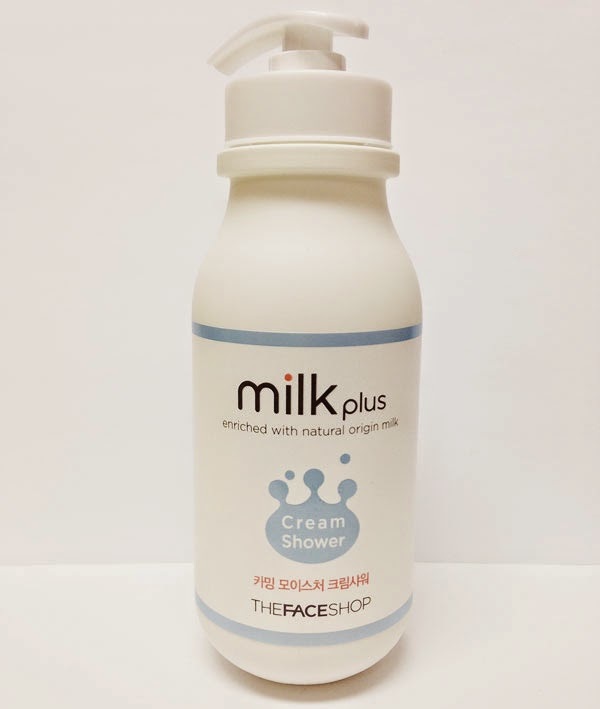 The consistency is fairly thick, but it does smooth onto the skin and absorb quite easily. It has a light fragrance, but it doesn't smell particularly perfumey to me and I don't think it will be particularly obnoxious on the skin. I'm actually really surprised at how affordable this particular product is, if only because of the packaging, so I'm looking forward to trying it out. This easy to use blush creates a subdued silky finish that creates a more 3 dimensional face for the look of a sharper jaw line and rosier complexion. Its shimmer, satiny and radiant formula leaves an immediate perk-me-up finish that brightens your face. Apply along cheekbones with a light touch using the included puff. I kinda wish I had gotten the Plum Cushion shade in this, if only because I'm really, really drawn to more plum toned blushes recently, but I'm really not mad at this. 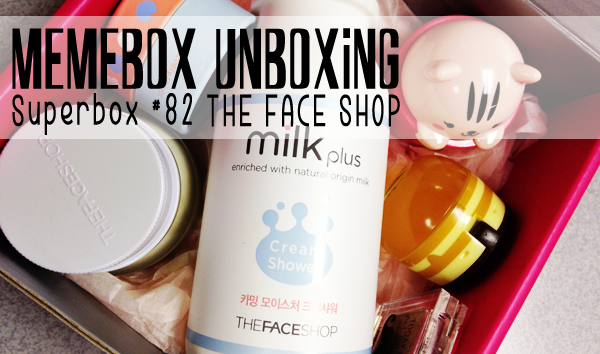 The cardboard packaging is really cute and it does seem like it contains a really decent amount of product. While it does swatch really, really light on the skin, it gives a really subtle glow that I think could easily give you that natural, lit from within look that's so flattering on the cheeks. 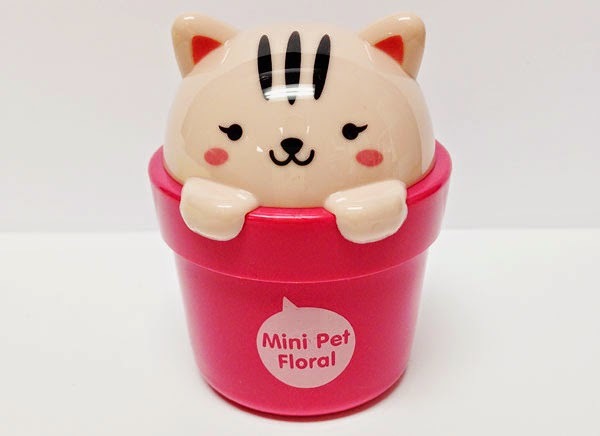 Replenish and soften dry, roughened hands with this adorably packaged mini hand cream perfumed with a variety of fruity and floral fragrances that linger on your hands long after application. Apply directly to hands as often as needed. Sigh. The packaging is super adorable, right? 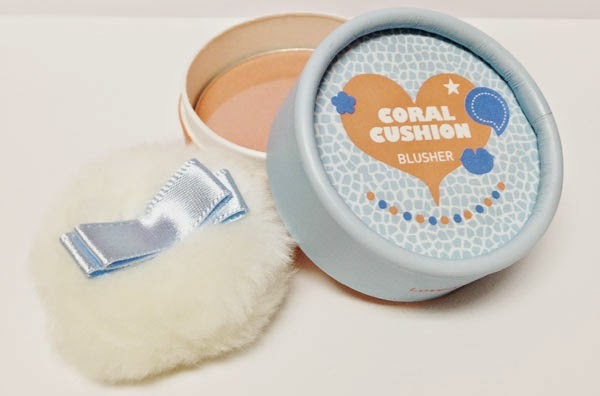 It reminds me a little of the Etude House hand cream that I received in my My Cute Wishlist box a couple of months ago - Really cute packaging, a formula that feels pretty run of the mill, and a smell that I just can't get behind. This one is going to end up tossed in a box with the Etude House one, me thinks. Or perhaps gifted to a little girl in my life... I should probably look into the ingredients and make sure this one is kid friendly. Anyway, this is definitely the dud of this box. 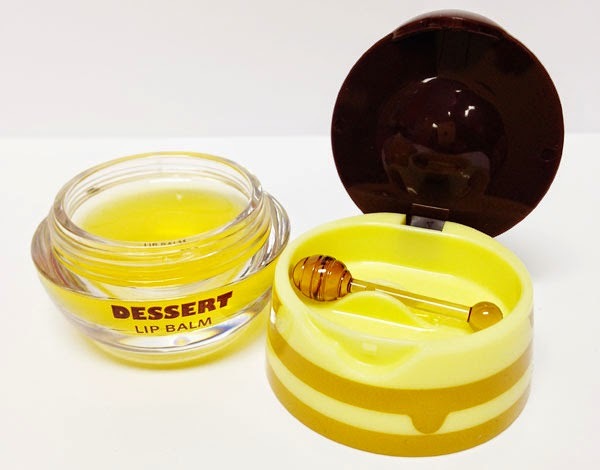 A mini jam-like dessert lip balm that comes in three options - strawberry jam, orange marmalade, and a jarful of honey. It'll melt onto dry, chapped lips instantly and create a moisture barrier over top for preventing further dehydration. Apple directly to lips, using the mini spatula. When I popped open the lid of this and found the little honey dropper applicator, I was really concerned over what the consistency of this was going to be. I pictured a honey-textured gloopy mess. However, I was definitely incorrect. The consistency of this is actually fairly firm and creamy in the pot. I assume that the applicator was included so that you don't have to use your finger, which is obviously one of the biggest annoyances when it comes to potted lip balms. Nice touch. Also, this stuff smells so deliciously good that I just wanna keep sniffing it. On the lips, it feels quite smooth and moisturizing without any stickiness. I'm cautiously optimistic that this is going to be a winner. Subtly glittering, easily blendable, long-lasting, and highly adhesive, this one-tone shadow palette applies smoothly onto lids and creates a natural, F/W smoky makeup when mixed and matched with a variety of fall colors. Use a shadow brush or a finger to apply to lids. This shadow is a really glittery warm gold shade. The texture is quite soft and creamy without any powderiness. It does, however, seem to get fine glitter particles pretty much everywhere. 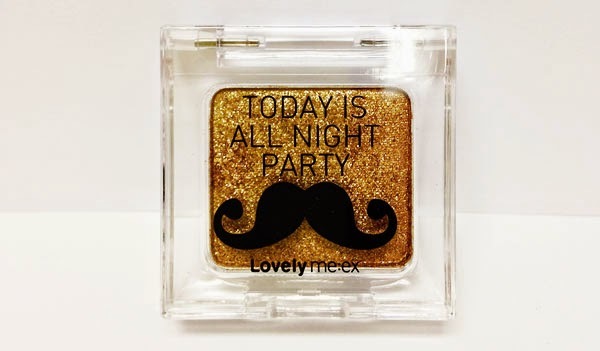 It seems to be more shimmer than pigment and when applied to the eyes it doesn't give much punch, but I think that it could be a nice topper for a night out look. 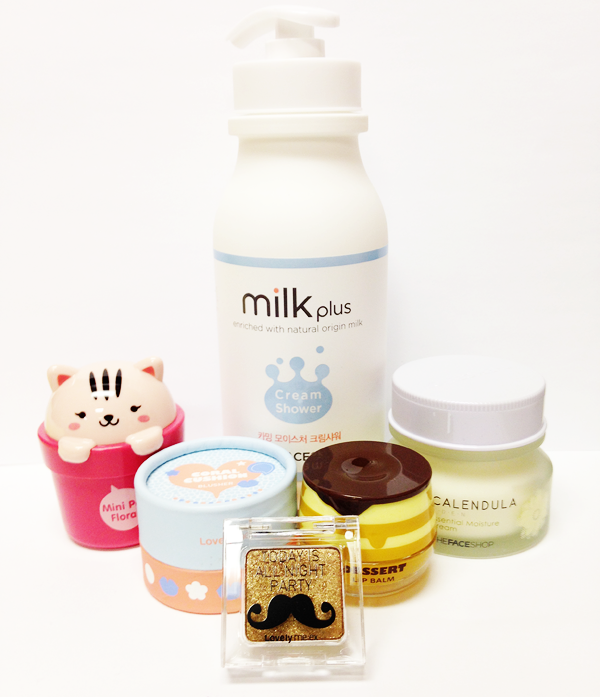 This, to be honest, is a bit of a throwaway for me... but how cute is the little mustache on the packaging? Moisturize your dry and sensitive skin with this body cleanser. This is a body cleanser that contains calming moisture complex to help skin glow better. Enjoy a delicate baby powder scent while you're taking a shower. While taking a shower, take adequate amount of cleanser on the shower towel and gently massage all over the body and then rinse off with clean water. NOTE: Description taken from RoseRoseShop as product provided was not what was listed on the card. So. The product that was supposed to be included was actually a body lotion, but I got a shower ceam. I'm not actually the least bit disappointed, though, since I have an entire basket full of various body lotions that I never seem to get through. I like the sound of this and I like that it comes with a pump, but the "delicate" baby powder scent is really, really strong so I'm not sure how I'm actually going to feel about it once I start using it. We'll see. I do need a moisturizing body wash at this time of year, though, so this could also be a winner. Like I said, these boxes tend to be the lowest dollar value and this is the lowest value I've ever received in a Memebox, which is kind of disappointing. However, I did get this box with a $3 discount as soon as it was released and it's still worth more than what I paid for it, so I'm not entirely bummed about that. It also contains what appear to be some really good products, even though two products are definite throwaways for me. I guess I'm kinda torn, in the end, but I don't regret ordering it. 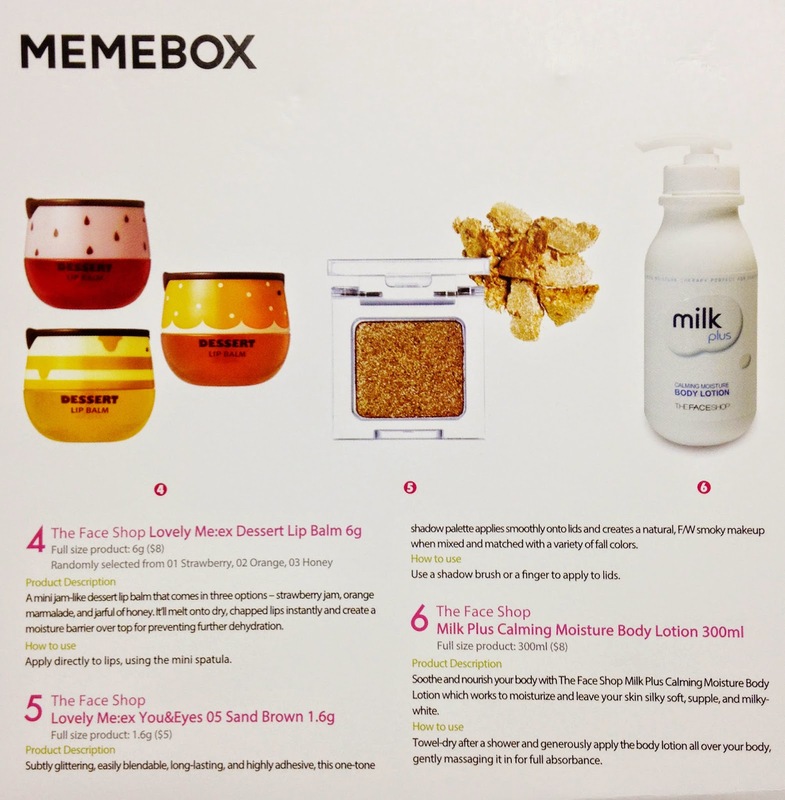 This box is sold out, but as always Memebox has a tons of new boxes being released constantly. 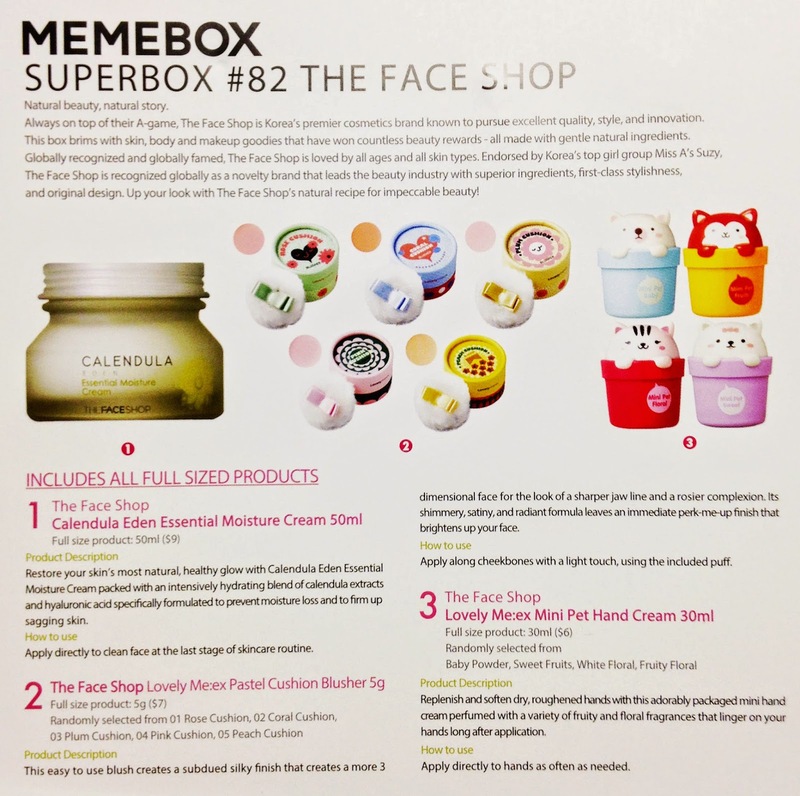 Memebox is a Korean Beauty Box service that curates a variety of different boxes and ships directly from Korea. 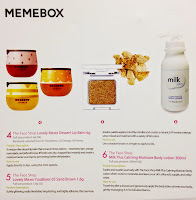 If you're interested in trying out Memebox, I would love it if you would use my affiliate link! USE CODE U96AIT for $5 off Orders of $30 or more!